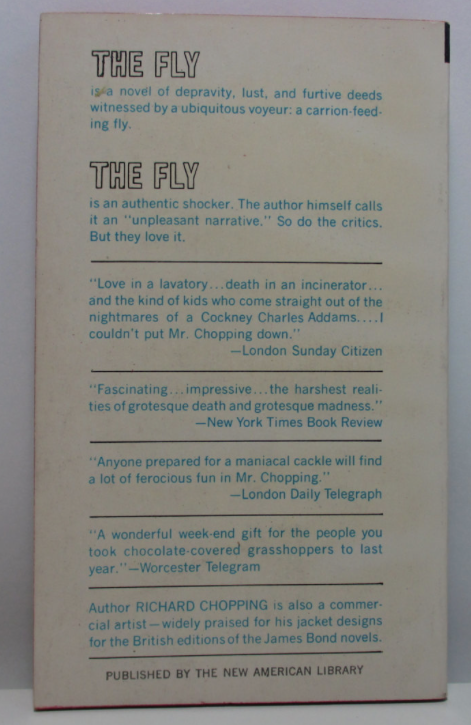 The script was edited by Chopping and his publisher during one champagne-fuelled weekend at the latter’s flat, with the publisher observing Chopping as “a most fastidious person with flaring nostrils and an apparently hairless body, revolted by the detritus, the muckiness of everyday life, hence presumably his preference for plants”. Chopping’s fetid and lonely urban scene finds no succour with retreat to a country-house zoo. Apes attend to their “hindquarters which, red-ripe, exuded moisture like the split sides of some monstrous tropical fruit”. Glorious stuff, its sexually charged, pacey, well-balanced sentences are not without human sympathy. 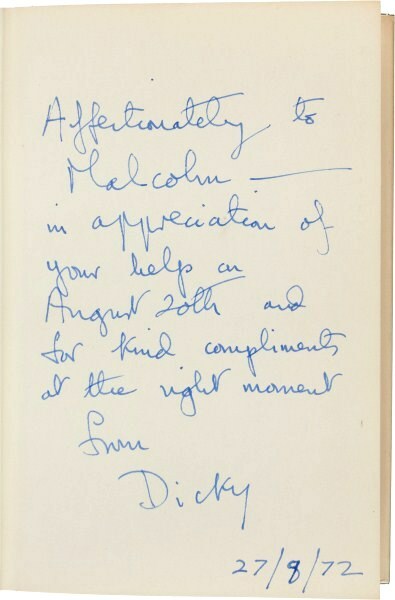 personal inscription from Richard Chopping (Dicky) to a personal friend. 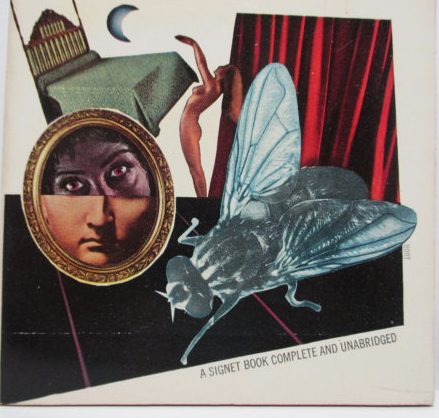 ”Its story of a London office workers, whose lives are strangely witnessed by a common house fly, was deemed by its editor as “sufficiently sordid to appeal to voyeurs, and if Chopping were to adorn it with one of his famous dust jackets it could be a succès de scandale; and so it proved” (Independent).